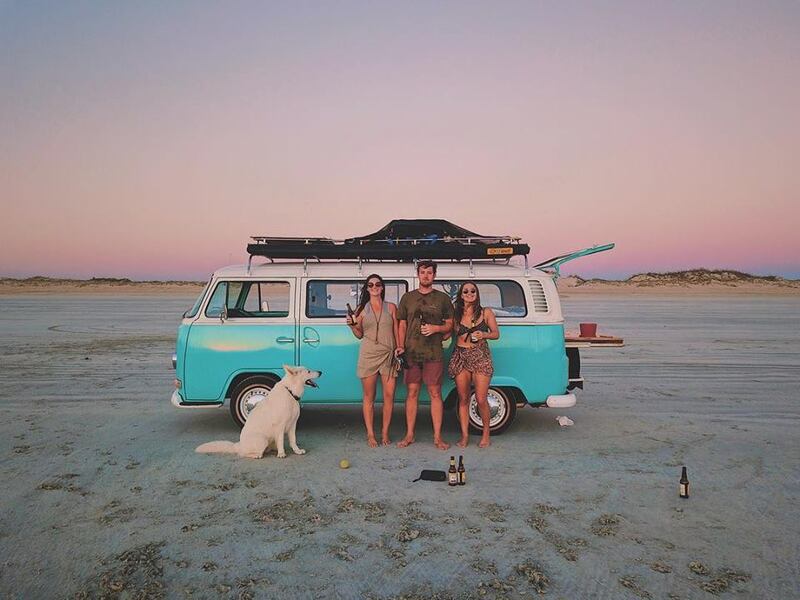 "Between us we have done a bit of travel overseas so one day we decided it was time to restore our kombi and check out our own backyard, Australia. 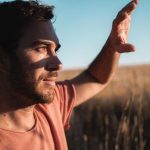 Henry moved from England to Australia twelve years ago at age 17, and bought the kombi as his first car. Back in high school it was everyone's favourite little wagon for Maccas runs, parties, running amok and wagging school... so if someone told me one day we would end up living in it together, I would never have believed it. Fast forward to May 2018; we have been together for 8 years, and after two years of hard work we finally got the van back on the road ready to go. We are currently 5 months into our trip with our dog Piper. One thing we often get asked is how we afford this trip. 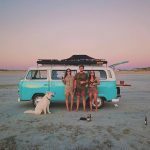 So after spending all of our money on restoring the Kombi and buying the required camping gear, we actually left with no savings and debt (lol). Luckily for us Henry was able to keep his job from back home as an engineer, he works on his laptop a few days a week, and I do dog grooming when I can. Back home I have a mobile grooming business so I brought my gear with me and I setup in any caravan parks we stay at. I also managed to sell my car back home a month into our trip so we did get a big chunk of spending money from that. We basically just live paycheck to paycheck. Living in a van is one of my favourite life experiences so far, like anything it has it's ups and downs but the people you meet and the places you see make it all worthwhile. The challenges you face living in a van are pretty simple ones, like finding toilets, sleeping in uncomfy spots sometimes, random break downs on the side of the road, finding places you can go with your dog, being around each other 24/7 and of course missing home/family/friends. We never feel like we're crammed into a small space or are missing out in any way when it comes to living requirements. I find living life with no plans to be extremely rewarding, you never know what is coming whether it's good or bad, but you deal with each situation as it comes. We will eventually head home and focus on business and more serious stuff, but we will never be "done" with travelling. 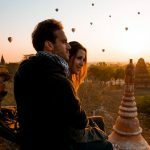 If you are thinking about travelling... my take on it is just don't worry too much about the money, and find a way to make it happen. After all, if you were at home you'd still be spending that money anyway  I've never met anyone who has regretted their travels!"